MISSOURI CITY, TX (KTRK) -- Here's something you don't see every day - a wild bunny who gets around in a custom-made cart. The furry guy's name is Jack. A good Samaritan found Jack after he'd been hit by a car, then brought him in to the Lake Olympia Animal Hospital in Missouri City. Through acupuncture, cold laser therapy, rehab and a custom made cart to help him get around, Jack is well on his way to recovery. Right now, Jack is living with a veterinary technician from the clinic. 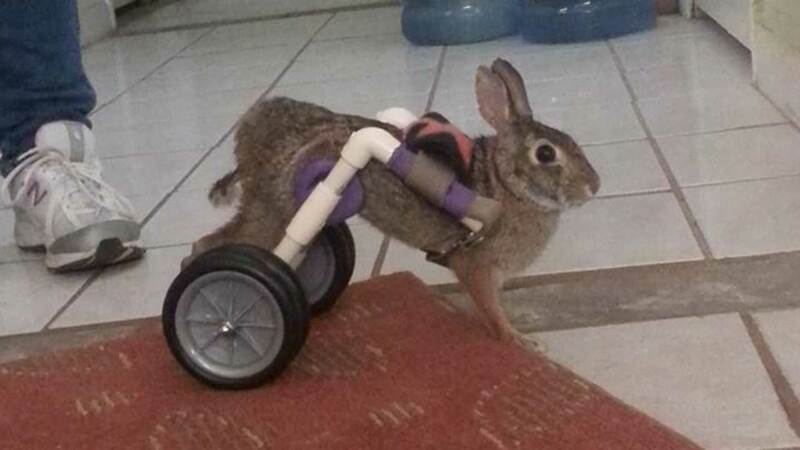 It's hoped he'll soon be able to hop along on his own, but for now, he's getting pretty good at using his new set of wheels.